KCPG presents: Mike Bristow, CrowdProperty: The New Financial Era. CrowdProperty is becoming the number one place for SME property professionals to easily raise finance for property projects. Offering bridging, refurbishment, development, auction and 'special situations' (just ask their experts) funding, CrowdProperty is funding projects in minutes (and sometimes seconds) on their platform from 7,000 lenders, funding £80m of property and 500 Great British Homes to date. Applying complex technology and deep property expertise, CrowdProperty more efficiently matches the supply and demand of capital, meaning a better deal for both borrowers and lenders alike. So much so that CrowdProperty has just announced that a major financial institution is providing a £100m funding line for projects CrowdProperty approves ( http://www.p2pfinancenews.co.uk/2019/03/14/crowdproperty-unveils-100m-city-funding-line/).Tickets: https://www.eventbrite.co.uk/e/kcpg-presents-mike-bristow-of-crowdproperty-the-new-financial-era-tickets-59034483730CrowdProperty is different because:- We are property experts and understand your need for speed, ease and certainty. You speak directly to our expert decision makers- We'll give initial decisions in 24 hours- There are no hidden fees (there are often so many), complexity nor profit share- There are never last-minute changes- We offer loans from £100k-£5m+- We can fund up to 100% Loan to Cost (project dependent)- Interest is rolled up- Drawdowns are fast and easy- We work in direct partnership with you – we all want your project to be a successTickets: https://www.eventbrite.co.uk/e/kcpg-presents-mike-bristow-of-crowdproperty-the-new-financial-era-tickets-59034483730About Mike BristowAs CEO and Co-Founder of CrowdProperty, Mike is responsible for CrowdProperty’s overall strategy and development. He brings a wealth of business building, private equity and strategy consulting expertise in addition to considerable property investment, alternative finance and technology experience. 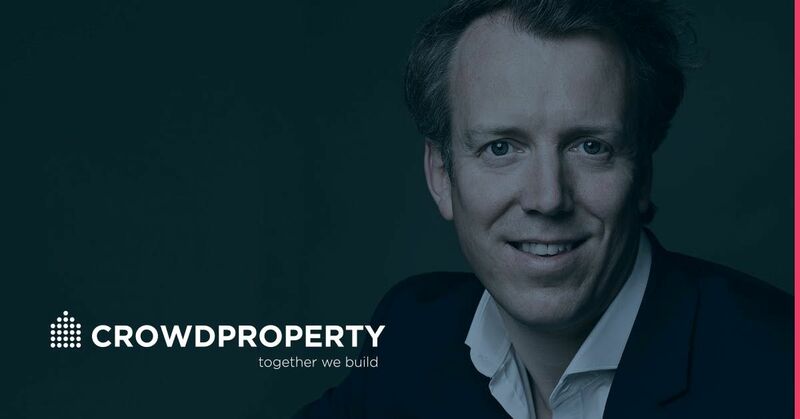 He has 20 years’ strategic advisory experience across a wide range of leading international companies and private equity funds and has particular expertise in consumer, B2B2C, digital and real estate sectors and has invested directly in over 20 'proptech' (property technology) businesses, all of which makes him the perfect choice to lead CrowdProperty in fulfilling its huge growth potential.